I stayed up way too late last night! 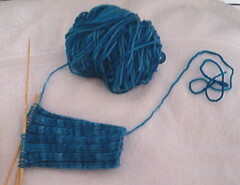 I decided to start an Artyarns sock using the turquiose (#107). 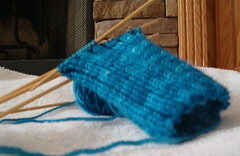 I'm using size 3 needles and I am doing a basic 2x2 ribbing for the cuff. I'll probably make it about 6 inches. I'm really loving these socks, and I think they will only take two skeins. I did buy three just in case. 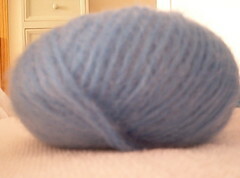 I also took a picture of my GGH Soft Kid in the natural light... doesn't it look so yummy? ?